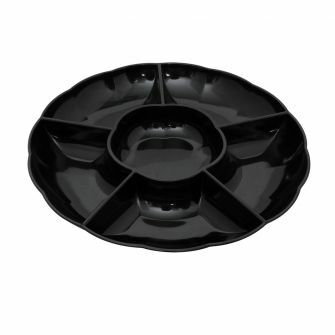 Case Dimensions : 14" x 14" x 15.5"
Case Dimensions : 27" x 13.5" x 27"
Case Dimensions : 27" x 13.5" x 20"
Dining Collection 2 oz. 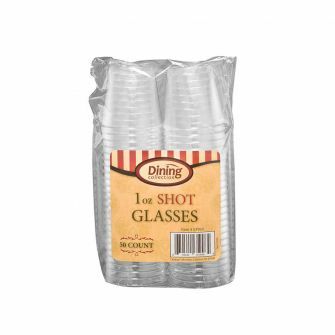 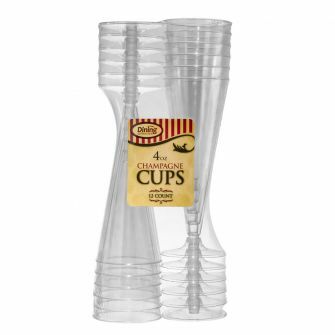 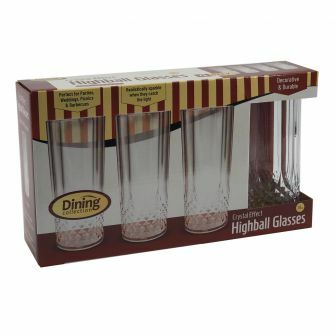 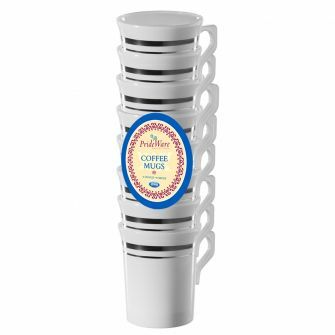 Shot Glasses (Square Bottom) - 50 ct.
Case Dimensions : 21" x 15" x 10"
Case Weight : 7.5 lbs. 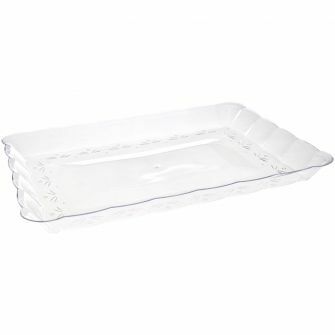 Case Dimensions : 21" x 15" x 9"
Case Weight : 7.8 lbs. 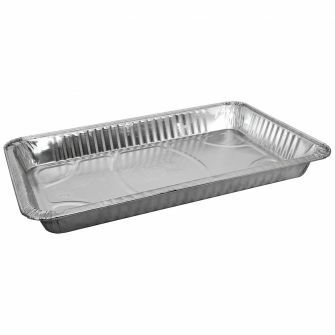 Case Weight : 8 lbs. 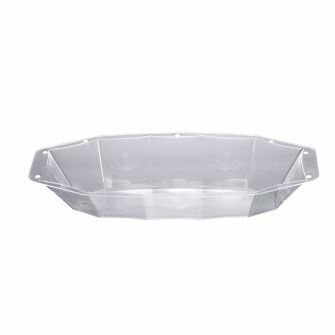 Case Dimensions : 12" x 7" x 9.5"
Case Dimensions : 19.5" x 13" x 12.5"
Case Dimensions : 18.5" x 7" x 10"
Case Dimensions : 15.5" x 8" x 7"
Case Dimensions : 13.5" x 7" x 7"
Case Dimensions : 14" x 14" x 8"
Case Dimensions : 11" x 14" x 6"
Case Weight : 4.6 lbs. 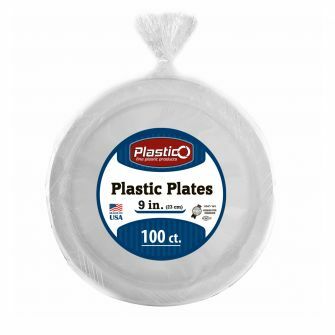 Case Weight : 11 lbs. 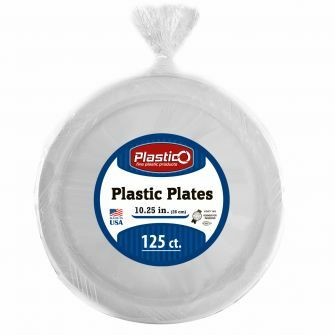 Case Weight : 7.1 lbs. 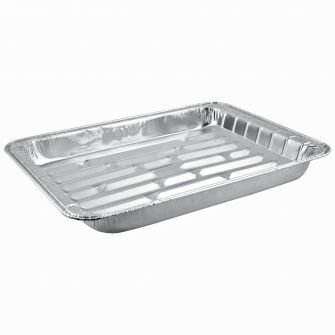 Case Dimensions : 12.5" x 7" x 9.5"
Case Dimensions : 21' x 11" x 8.5"
Case Dimensions : 18.5" x 9.5" 7.5"
Case Dimensions : 13.5" x 7" x 6"
Case Dimensions : 10.5" x 6" x 14.5"
Case Dimensions : 18.5" x 9.5" x 7.5"
Case Dimensions : 18.5" x 9.5" x 8"
Case Dimensions : 13" x 7" x 7"
Case Dimensions : 14" x 8.5" x 15.5"
Case Dimensions : 10" x 6" x 13.5"
Case Dimensions : 20" x 10.5" x 7.5"
Case Dimensions : 18" x 9.5" x 7.5"
Case Dimensions : 15.5" x 8.5" x 6.5"
Case Dimensions : 15.5" x 8" x 12.5"
Case Dimensions : 11" x 6" x 13"
ChinaWare Elegant 10" Banquet Plates - White/Cobalt/Gold - 10 Ct.
ChinaWare Elegant 5 oz. 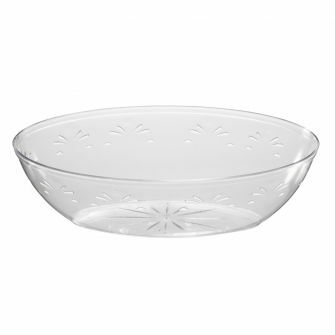 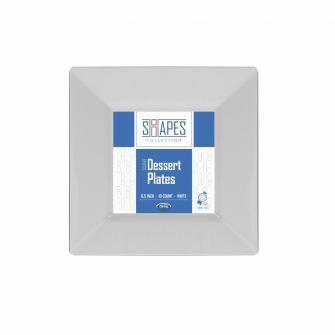 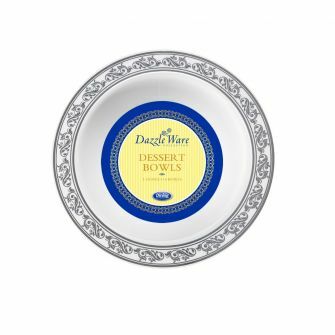 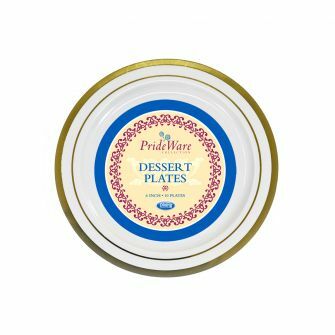 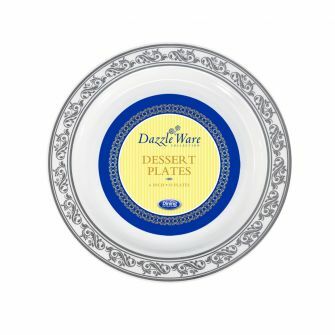 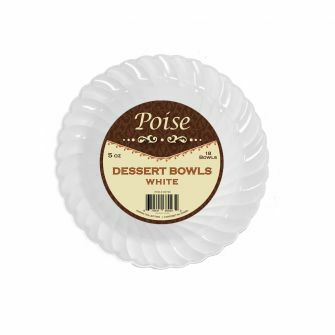 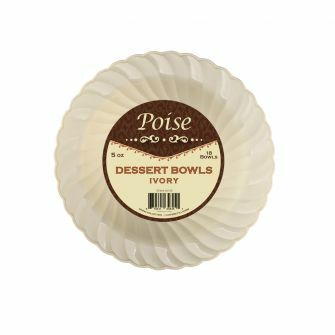 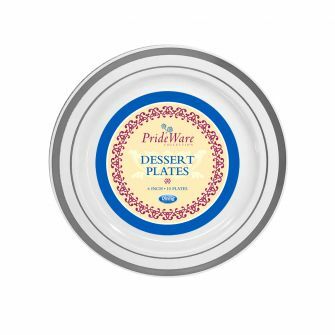 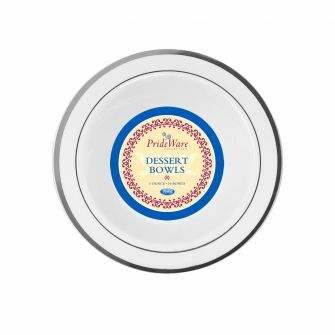 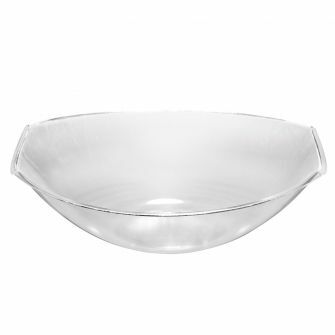 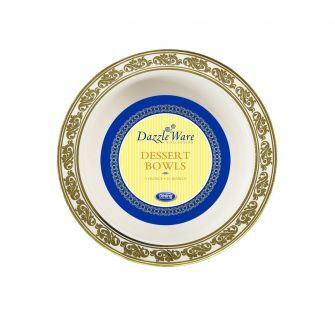 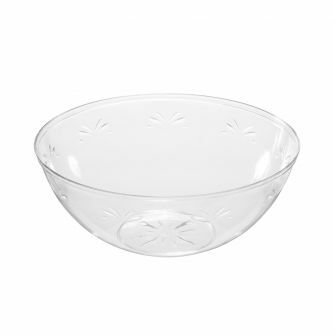 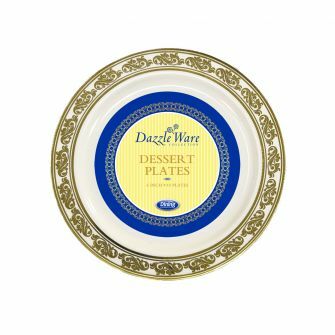 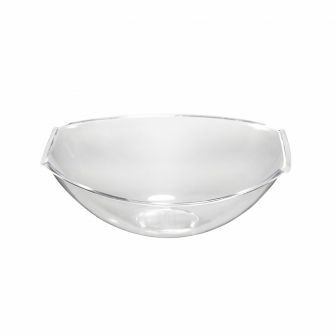 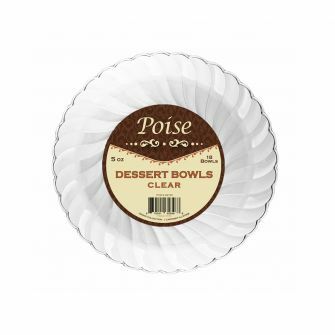 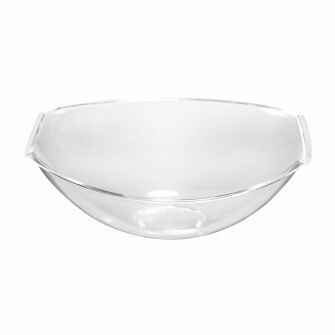 Dessert Bowls - White/Cobalt/Gold - 10 Ct.
Case Dimensions : 20" x 11" x 11.5"
Case Dimensions : 18" x 9.5" x 11.5"
Case Dimensions : 14.5" x 8" x 10.5"
Case Dimensions : 18.5" x 9.5" x 16.5"
Case Dimensions : 13" x 7" x 12"
Case Dimensions : 21" x 11" x 12.5"
Case Dimensions : 18.5" x 10" x 14"
Case Dimensions : 15.5" x 8" x 13.5"
Case Dimensions : 13.5" x 7" x 13.5"
Case Dimensions : 22" x 8" x 15.5"
Case Dimensions : 15" x 5.5" x 13.5"
Case Dimensions : 22" x 8" 15.5"
Case Dimensions : 20.5" x 10.5" x 12"
Case Dimensions : 19" x 9.5" x 16.5"
Case Dimensions : 15" x 8" x 12"
Case Dimensions : 18.5" x 7" x 7.5"
Case Weight : 7 lbs. 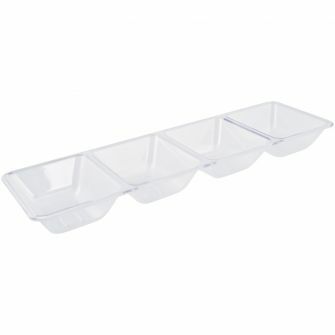 Case Dimensions : 15.5" x 11" x 13"
Case Dimensions : 11.5" x 8" x 11"
Case Dimensions : 18" x 9.5" x 6.5"
Case Dimensions : 14" x 14" x 5.5"
Case Dimensions : 12" x 12" x 6"
Case Dimensions : 12.5" x 12.5" x 7.5"
Plastico 24 oz. 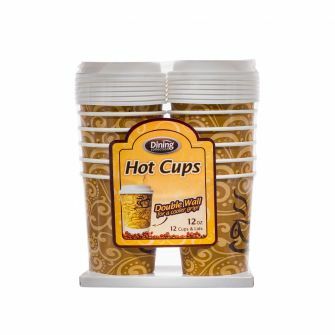 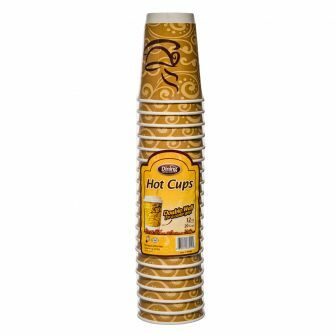 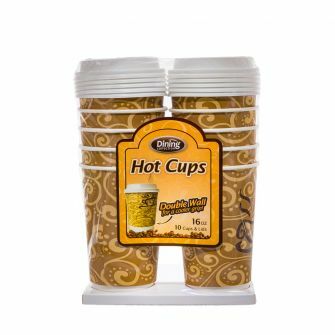 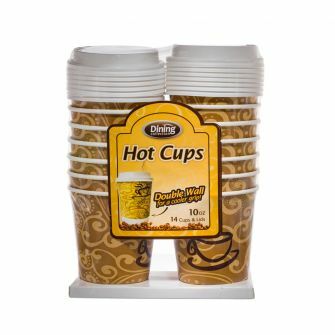 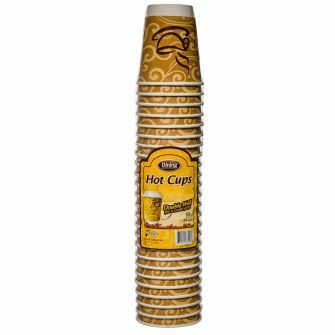 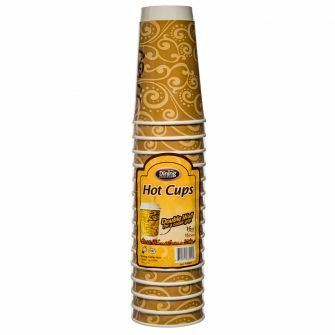 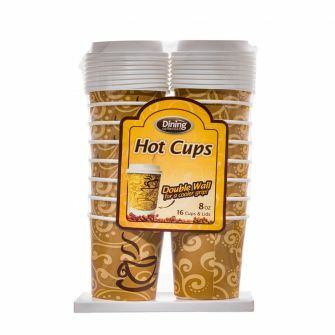 Cold Cups Combo - 10 ct. 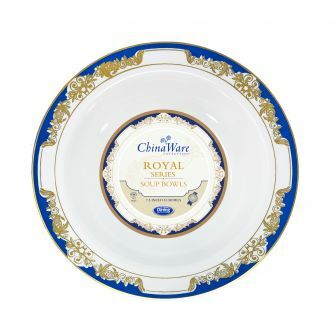 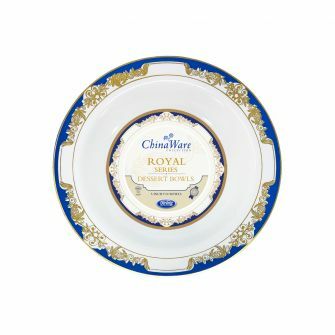 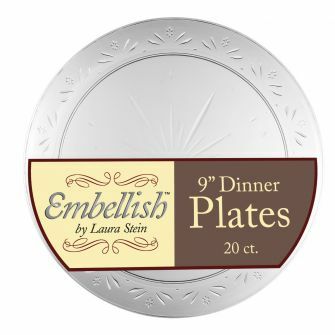 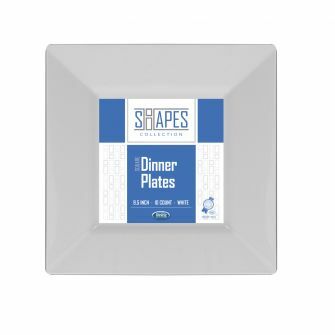 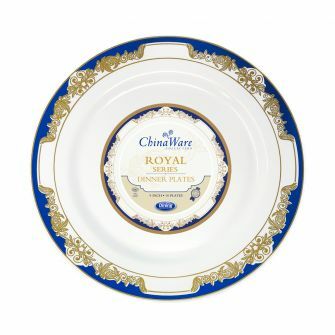 Dining Collection 9 oz. 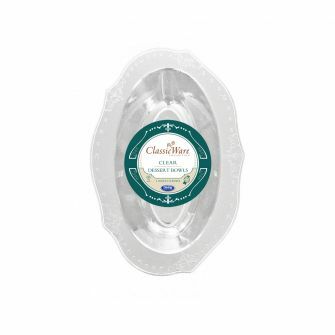 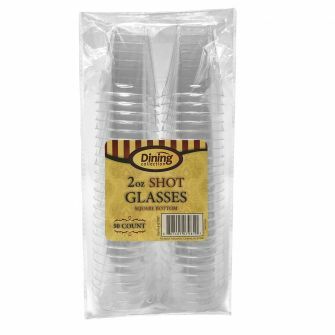 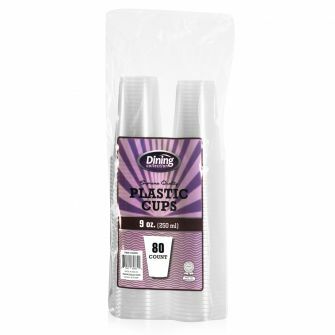 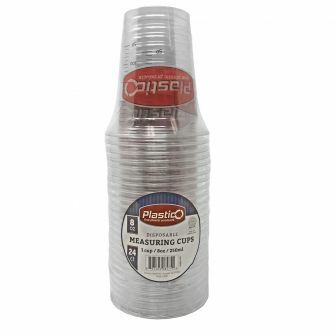 Plastic Cups - Clear - 80 ct. 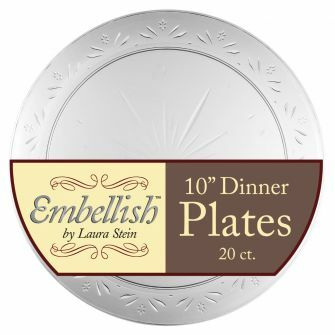 Dining Collection 5 oz. 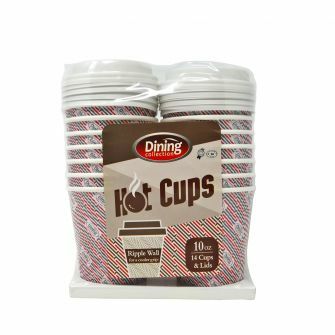 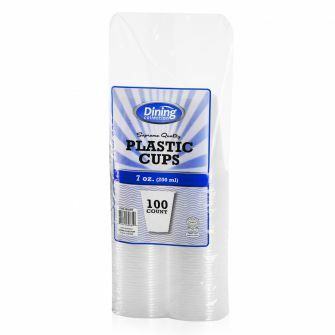 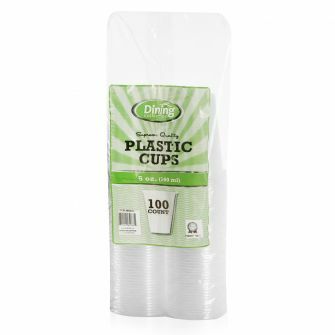 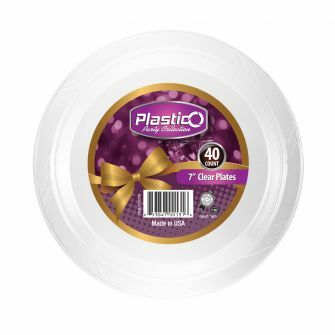 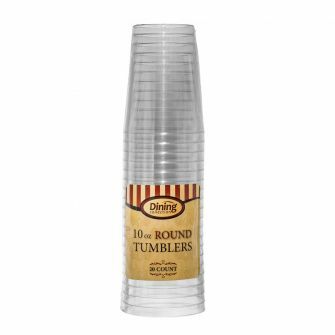 Plastic Cups - Clear - 100 ct. 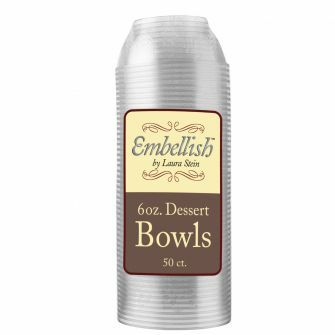 Perfection 7 oz. 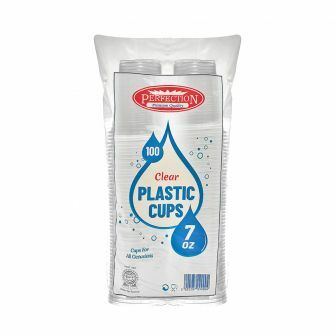 Plastic Cups - Clear - 100 ct. 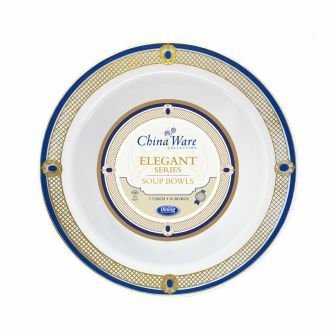 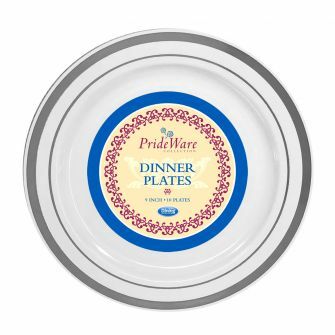 Dining Collection 6 oz. 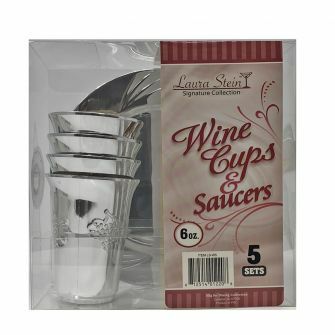 Silver Wine Cup w/ Saucer - 5 ct. Dining Collection 6 oz. 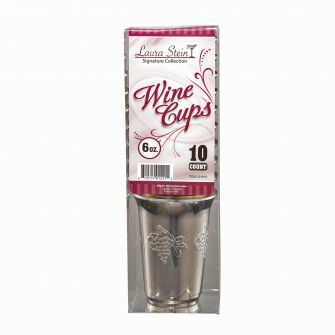 Silver Wine Cup - 10 ct. 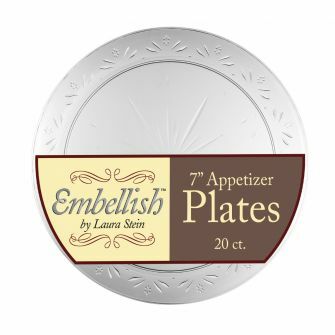 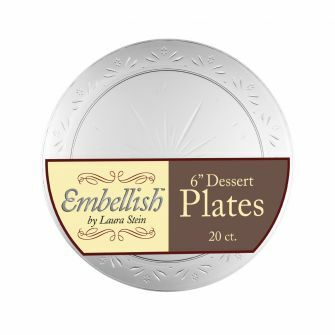 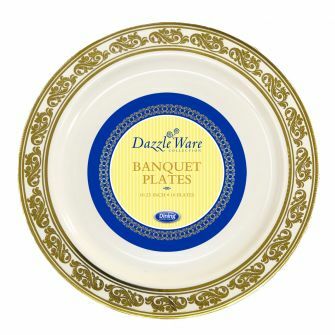 Dining Collection 7 oz. 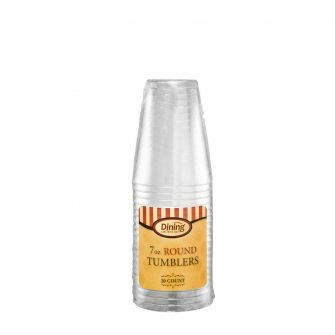 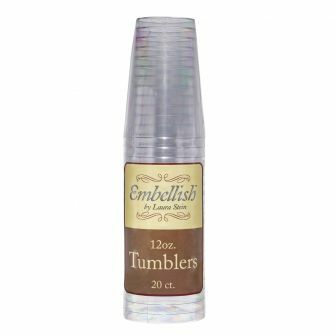 Tumbler - 20 ct. 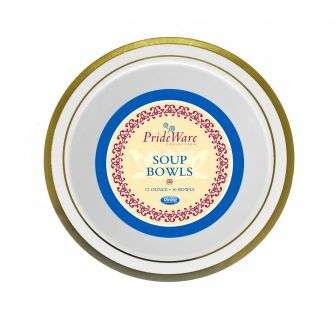 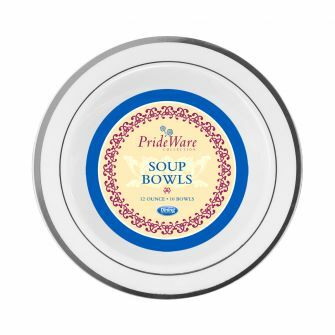 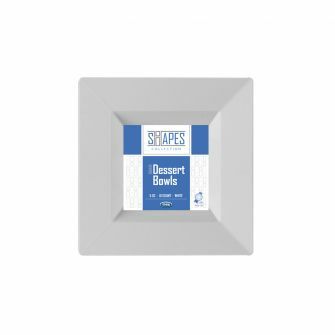 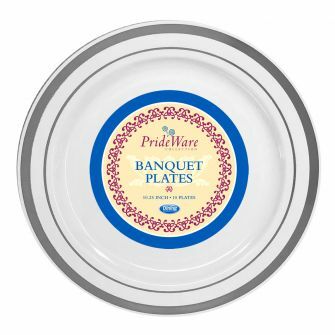 Dining Collection 4 oz. 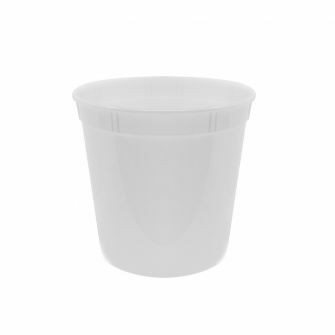 Champagne Cup - 12 ct. 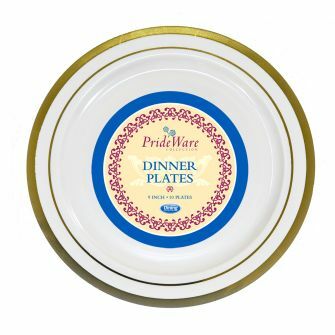 Dining Collection 5 oz. 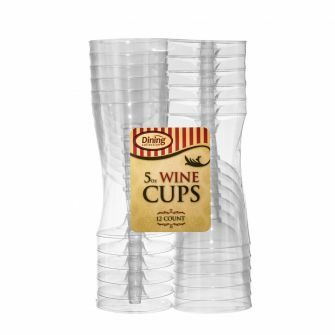 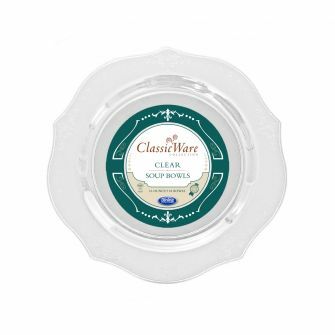 Wine Cup - 12 ct. 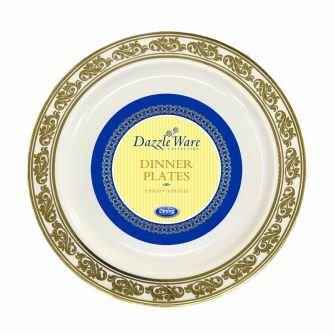 Dining Collection 2 oz. 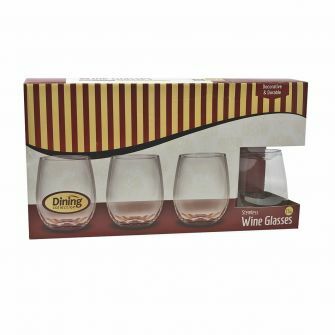 Wine Tasters - 10 ct. 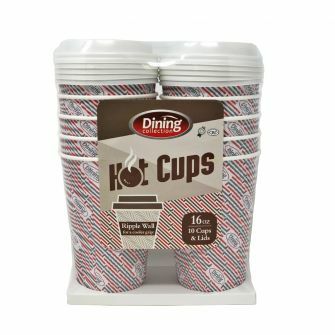 Dining Collection 1 oz. 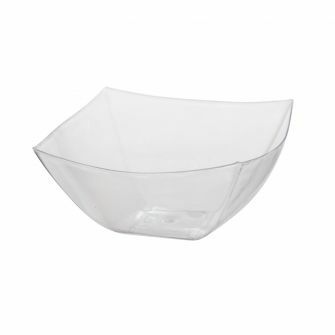 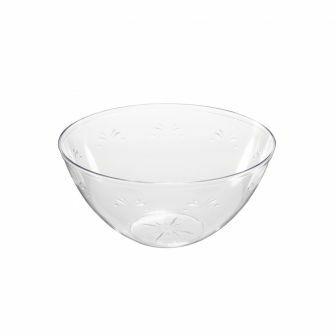 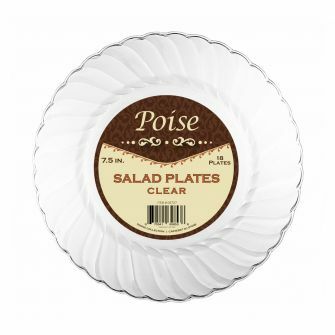 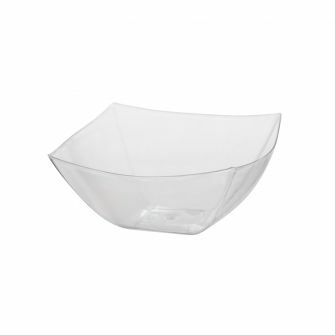 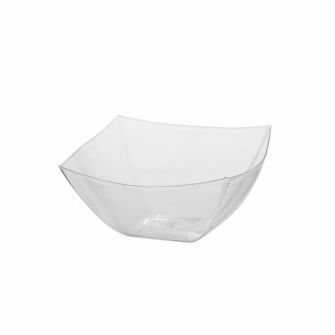 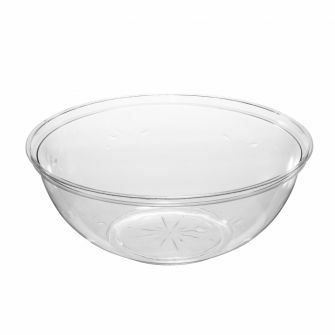 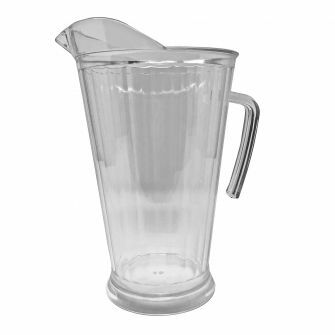 Whiskey Shot Cup - 50 ct.
Case Dimensions : 25.5" x 10" x 14.5"
Case Dimensions : 23" x 9.5" x 13.5"
Poise Large Salad Bowl - Clear - 50 ct. 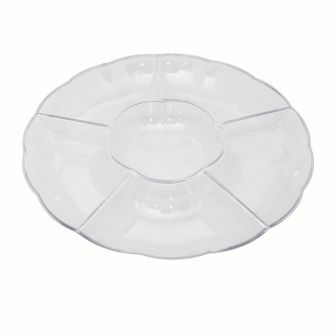 Dining Collection Fruit Boat - 5 ct. 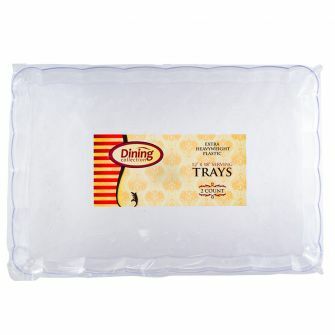 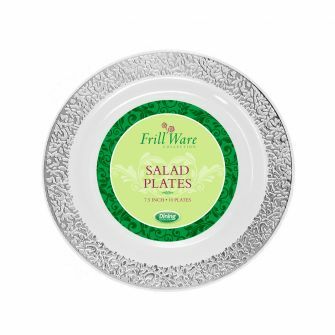 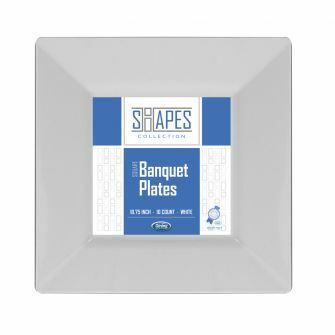 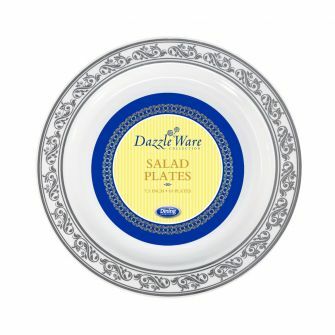 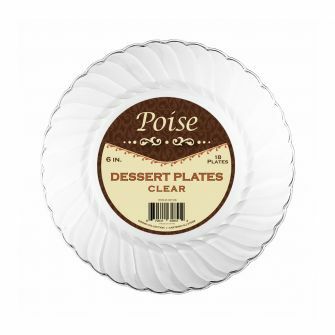 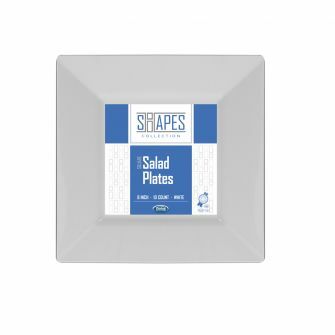 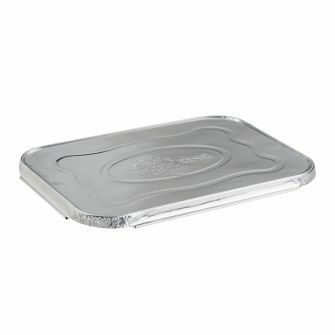 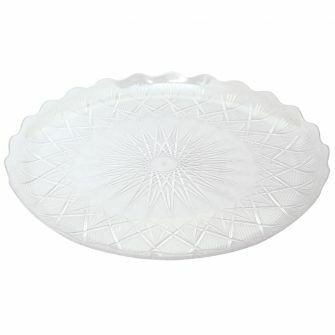 Dining Collection 12" x 18" Serving Tray - Extra Heavyweight - Clear - 2 Ct. 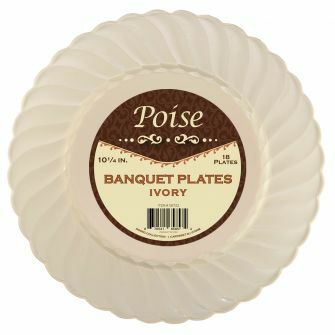 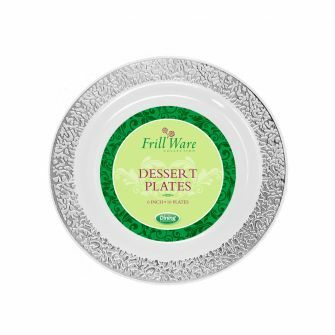 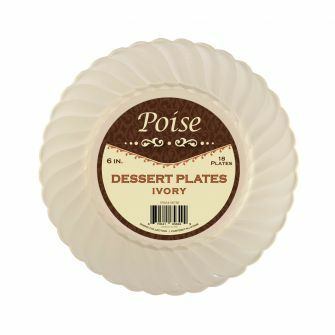 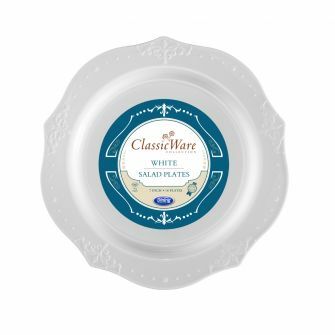 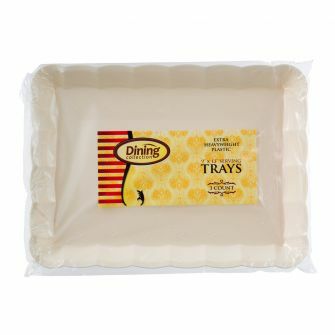 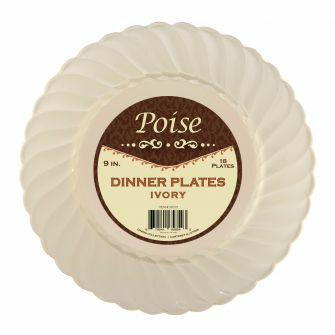 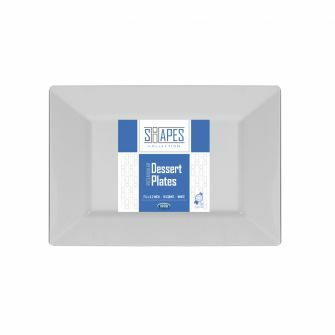 Dining Collection 9" x 13" Serving Tray - Extra Heavyweight - Ivory - 3 Ct. 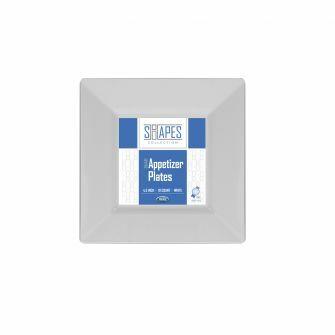 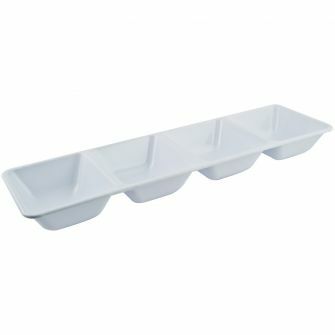 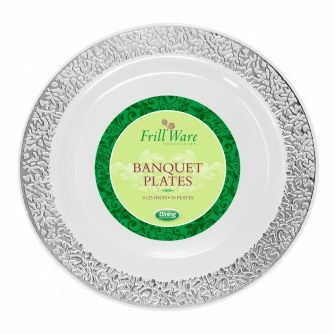 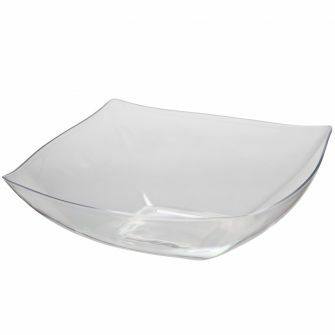 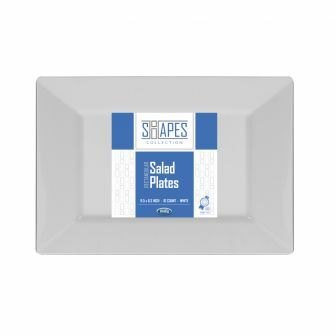 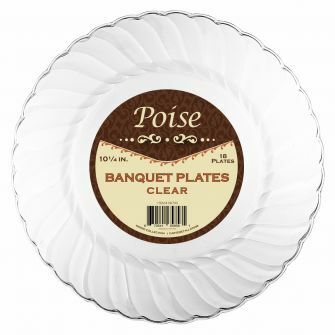 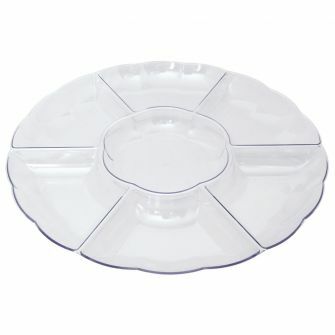 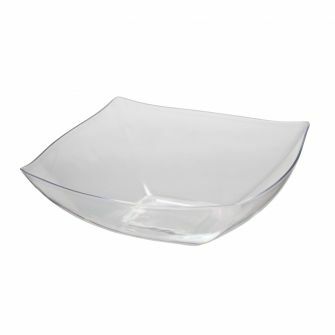 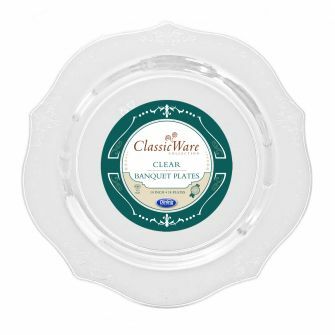 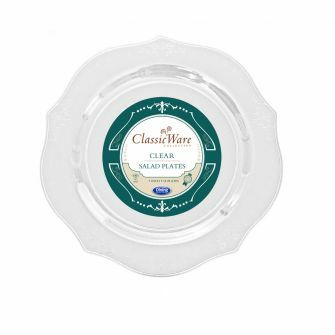 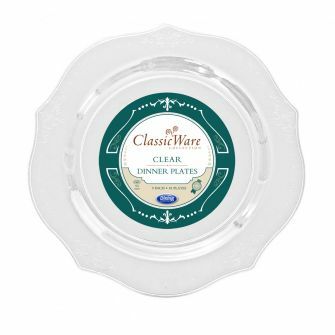 Dining Collection 9" x 13" Serving Tray - Extra Heavyweight - Clear - 3 Ct. 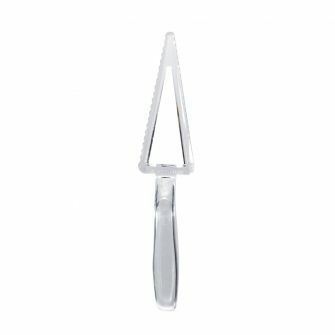 Dining Collection Knives - Medium Weight - White Plastic - 1000 ct. 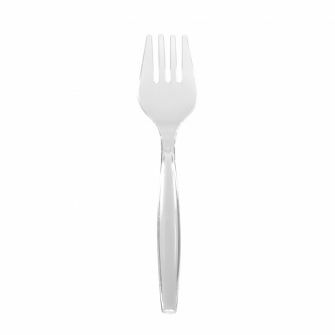 Dining Collection Forks - Medium Weight - White Plastic - 1000 ct. 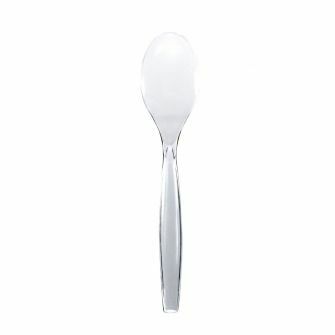 Dining Collection Teaspoons - Medium Weight - White Plastic - 1000 ct. 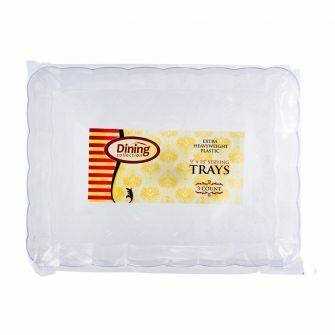 Dining Collection Heavy Duty Combo (Box) - White Plastic - 400 ct. 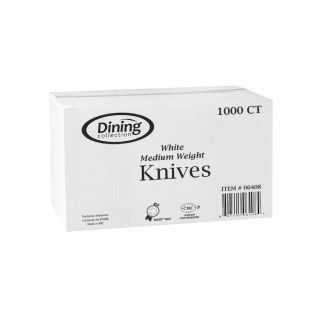 Dining Collection Knives (Box) - White Plastic - 400 ct. Dining Collection Forks (Box) - White Plastic - 400 ct. 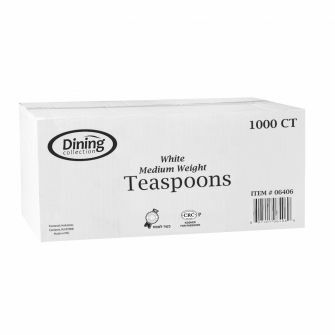 Dining Collection Teaspoons (Box) - White Plastic - 400 ct. 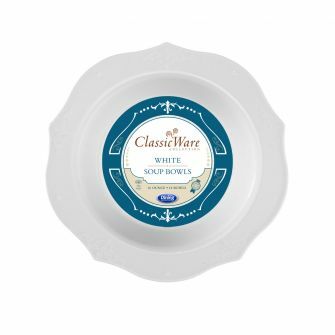 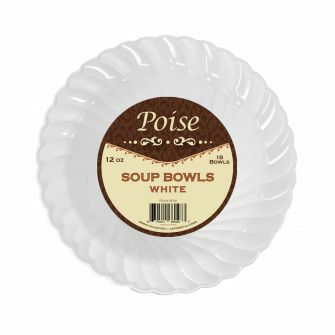 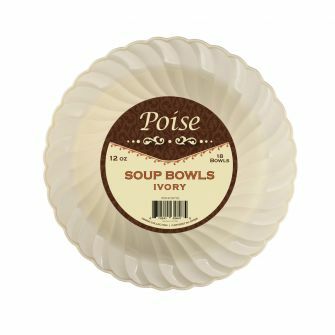 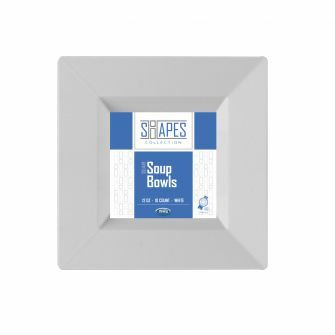 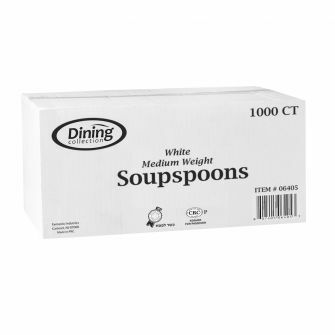 Dining Collection Soupspoons (Box) - White Plastic - 400 ct. 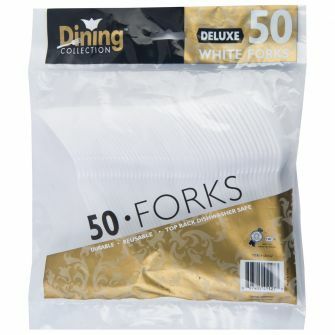 Dining Collection Deluxe Forks - White Plastic - 50 ct. 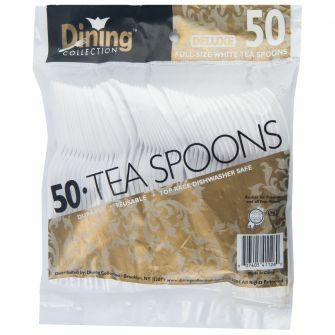 Dining Collection Deluxe Teaspoons - White Plastic - 50 ct. 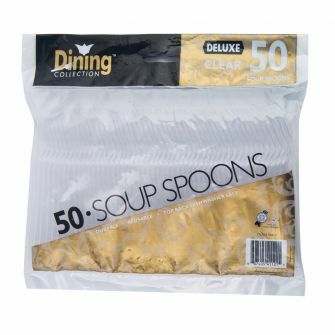 Dining Collection Deluxe Soupspoons - White Plastic - 50 ct.
Plastico Heavy Duty Combo - White Plastic - 48 ct.
Plastico Heavy Duty Knives - White Plastic - 50 ct.
Plastico Heavy Duty Forks - White Plastic - 50 ct.
Plastico Heavy Duty Teaspoons - White Plastic - 50 ct.
Plastico Heavy Duty Soupspoons - White Plastic - 50 ct. 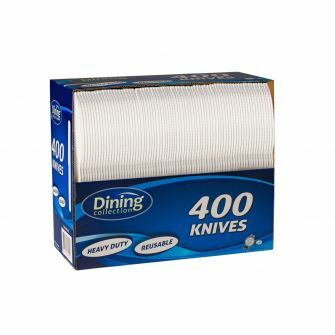 Dining Collection Heavy Duty Knives - White Plastic - 100 ct. 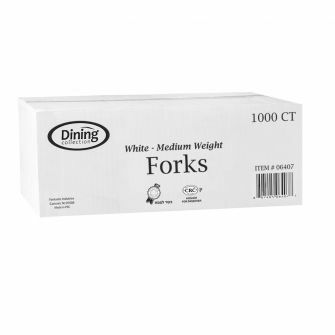 Dining Collection Heavy Duty Forks - White Plastic - 100 ct. 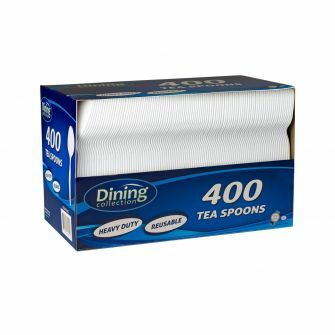 Dining Collection Heavy Duty Teaspoons - White Plastic - 100 ct. Dining Collection Heavy Duty Soupspoons - White Plastic - 100 ct. 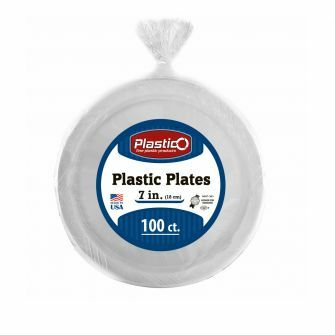 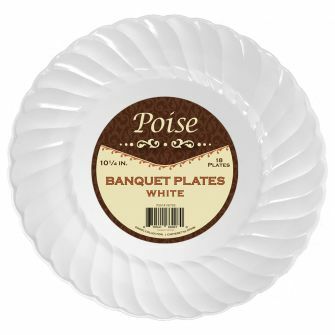 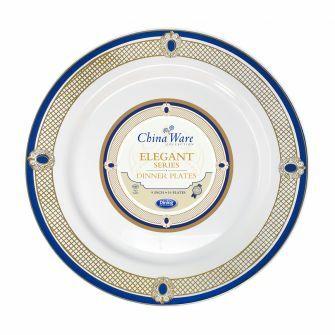 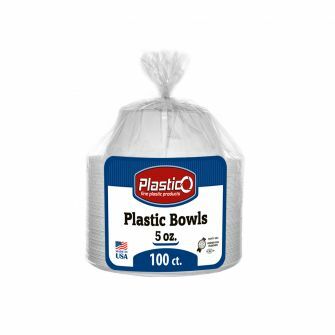 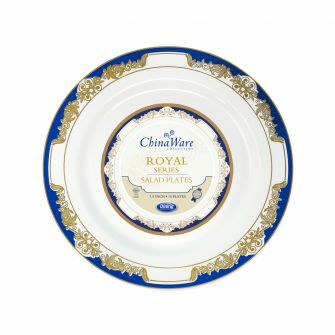 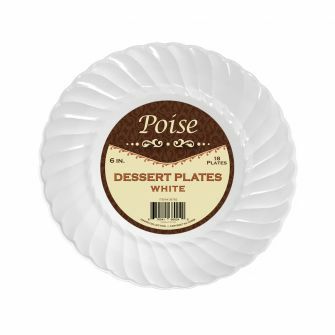 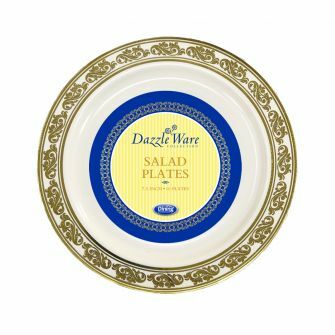 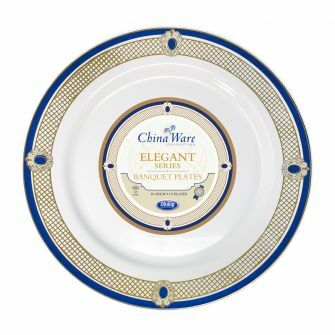 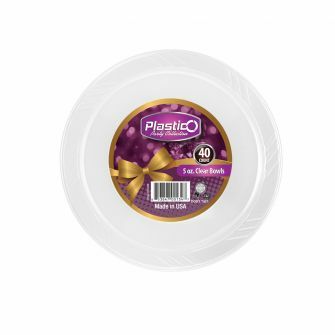 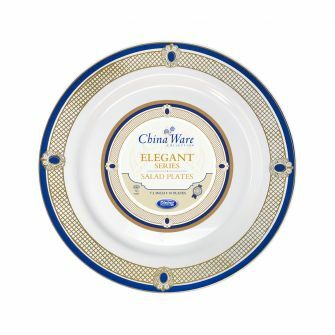 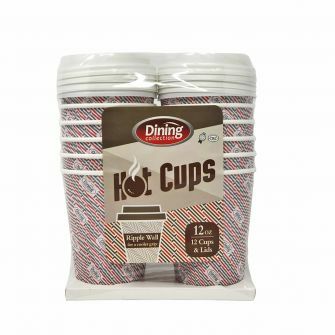 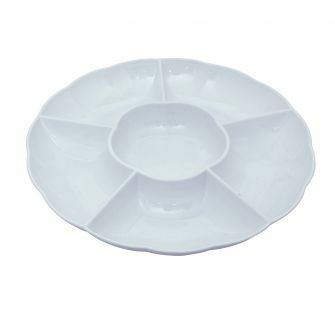 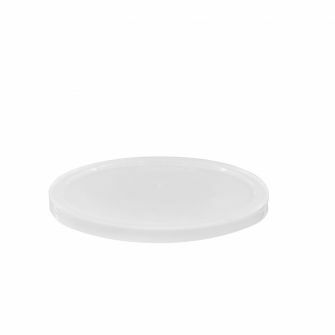 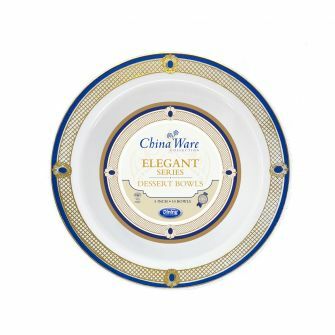 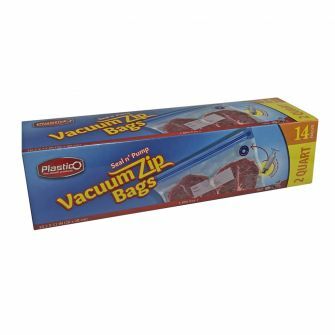 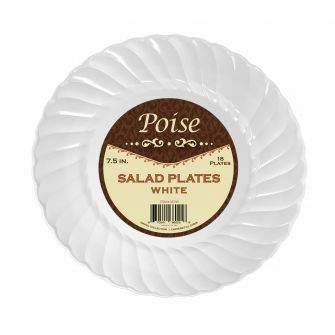 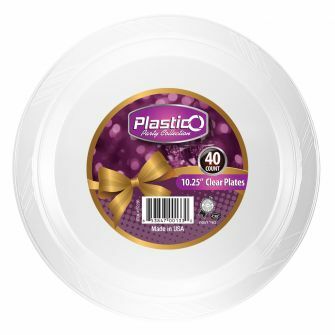 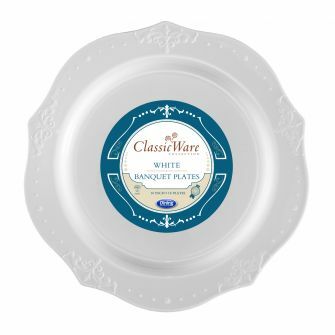 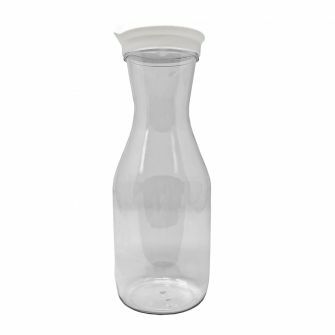 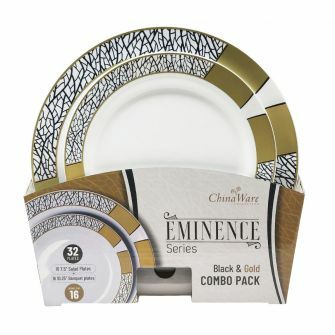 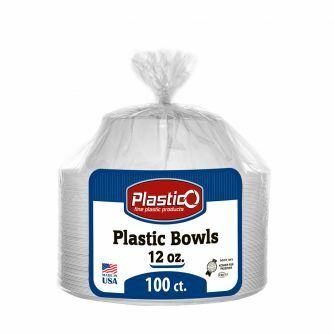 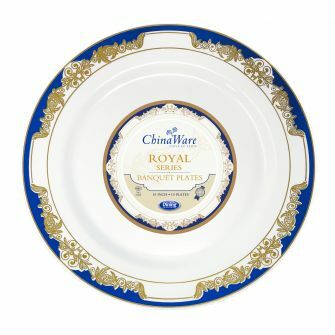 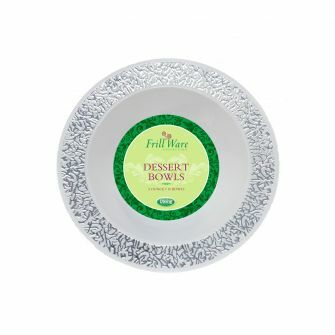 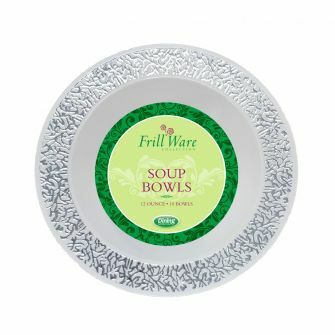 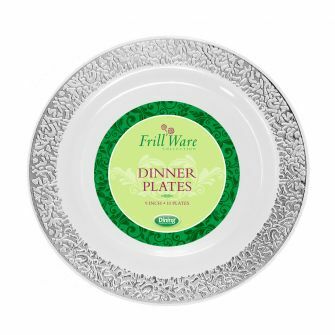 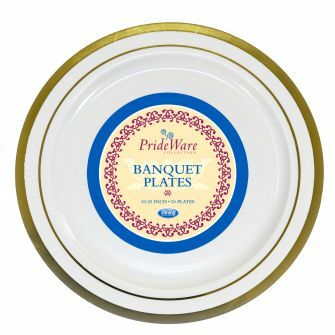 Dining Collection Heavy Duty Combo - White Plastic - 48 ct. 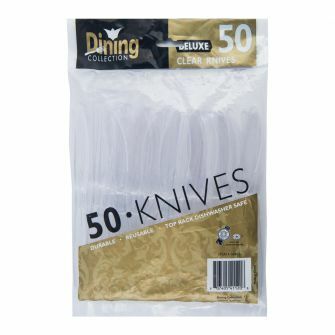 Dining Collection Heavy Duty Knives - White Plastic - 50 ct. 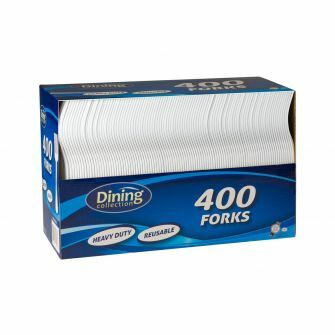 Dining Collection Heavy Duty Forks - White Plastic - 50 ct. 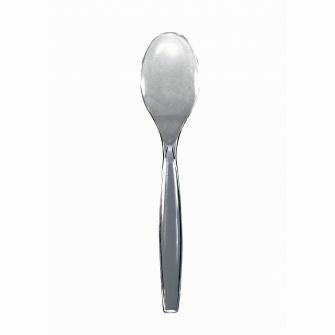 Dining Collection Heavy Duty Teaspoons - White Plastic - 50 ct. 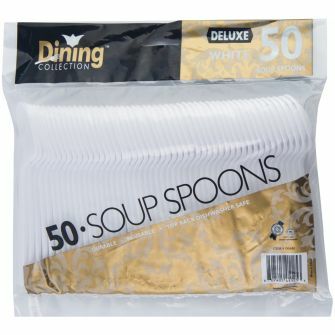 Dining Collection Heavy Duty Soupspoons - White Plastic - 50 ct. 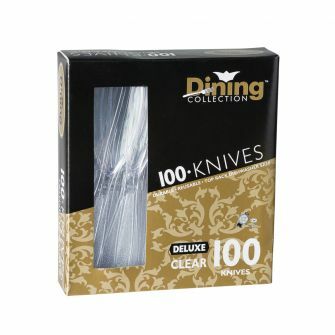 Dining Collection Deluxe Knives (Box) - Clear Plastic - 100 ct. 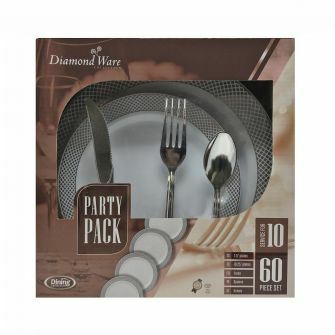 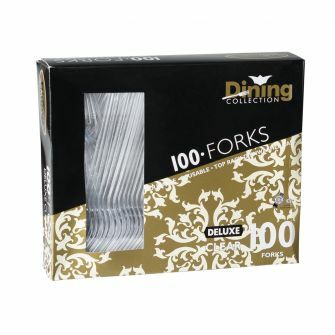 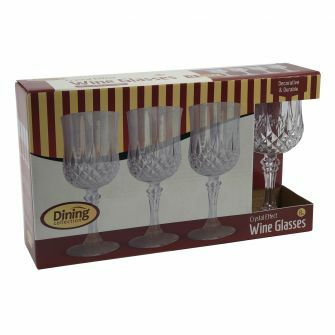 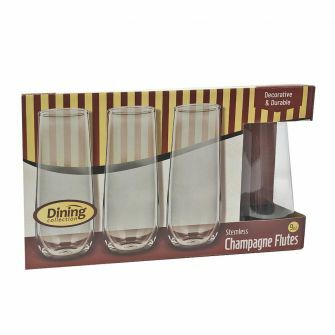 Dining Collection Deluxe Forks (Box) - Clear Plastic - 100 ct. 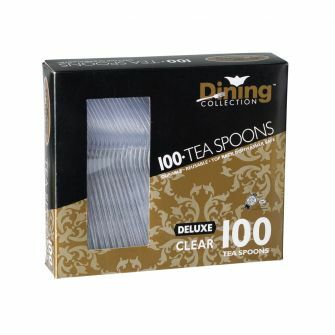 Dining Collection Deluxe Teaspoons (Box) - Clear Plastic - 100 ct. 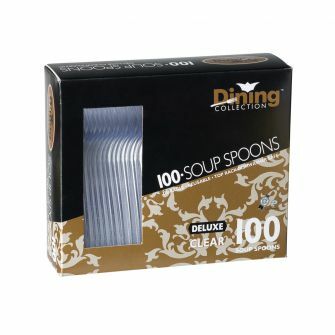 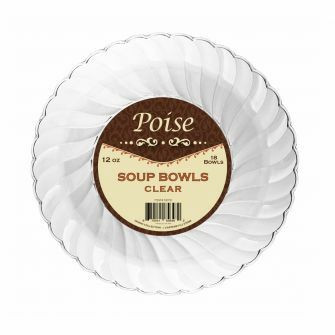 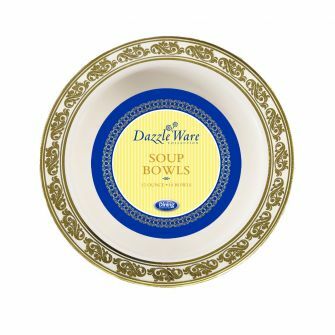 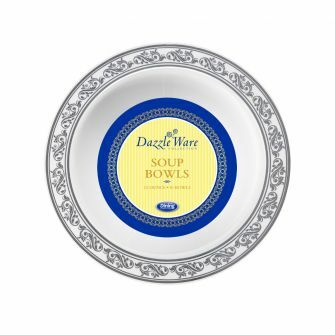 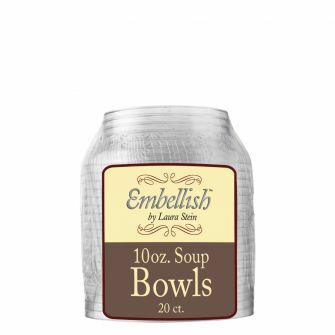 Dining Collection Deluxe Soupspoons (Box) - Clear Plastic - 100 ct. 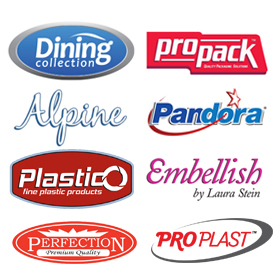 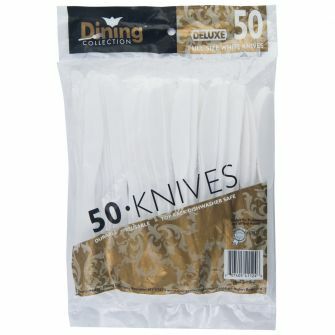 Dining Collection Deluxe Knives - Clear Plastic - 50 ct. 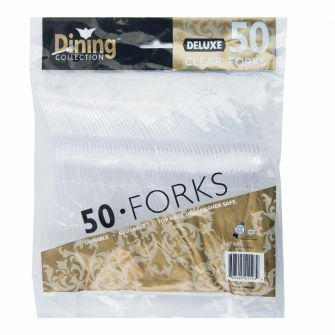 Dining Collection Deluxe Forks - Clear Plastic - 50 ct. 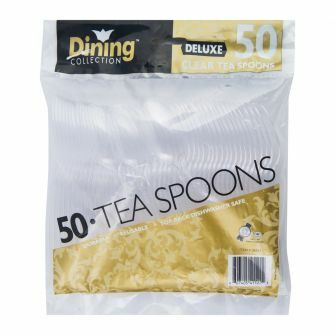 Dining Collection Deluxe Teaspoons - Clear Plastic - 50 ct. 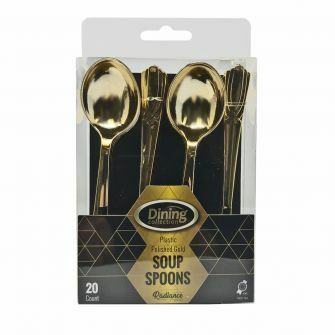 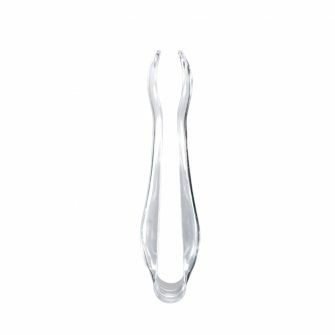 Dining Collection Deluxe Soupspoons - Clear Plastic - 50 ct. 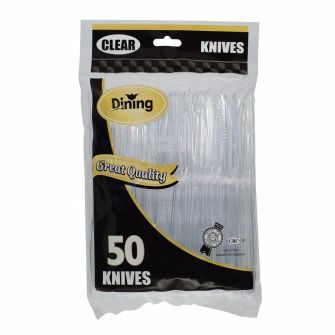 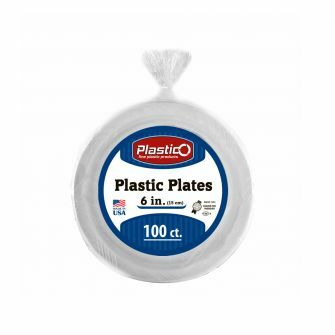 Dining Collection Heavy Duty Knives - Clear Plastic - 50 ct. 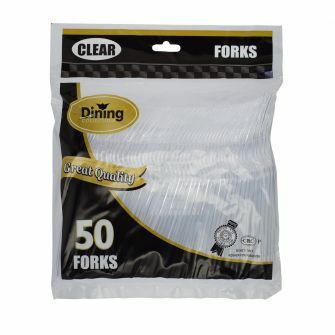 Dining Collection Heavy Duty Forks - Clear Plastic - 50 ct. 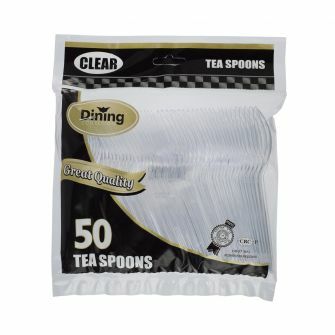 Dining Collection Heavy Duty Teaspoons - Clear Plastic - 50 ct. 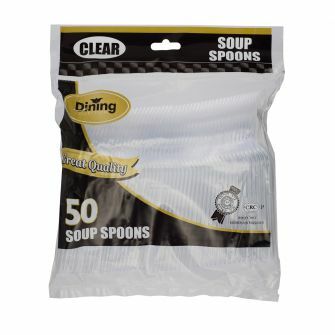 Dining Collection Heavy Duty Soupspoons - Clear Plastic - 50 ct. 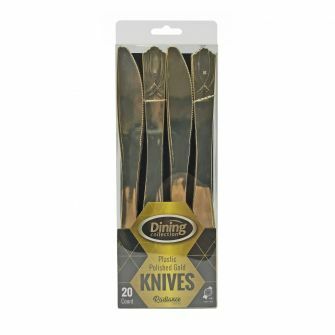 Dining Collection Silver Knives - Extra Heavyweight Plastic - 24 ct. 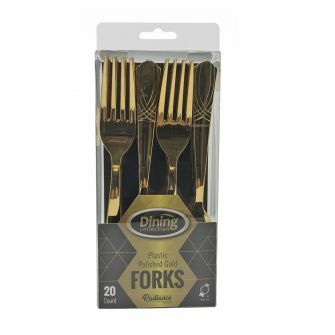 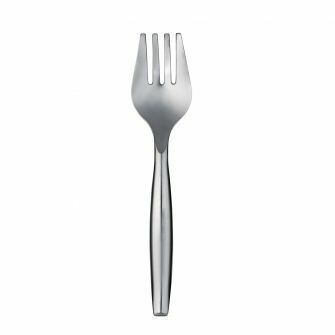 Dining Collection Silver Forks - Extra Heavyweight Plastic - 24 ct. 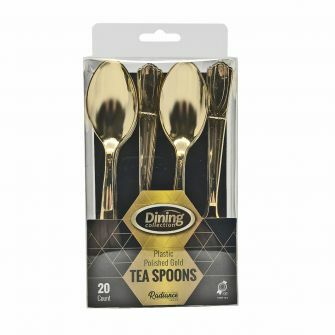 Dining Collection Silver Teaspoons - Extra Heavyweight Plastic - 24 ct. 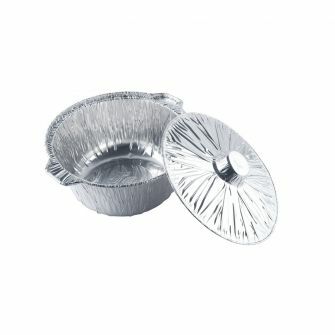 Dining Collection Silver Soupspoons - Extra Heavyweight Plastic - 24 ct.
Pandora Muffin Pan (6 Cavity) - 4 ct.
Pandora Mini Muffin Pan (9 Cavity) - 4 ct.
Pandora 10" Large Tube Pan - 2 ct.
Pandora 8" Small Tube Pan - 2 ct.
Pandora 6.5" Round Deep Pan - 5 ct.
Pandora 6" Round Deep Pan w/ Hem - 5 ct.
Pandora 5" Round Deep Pan w/ Hem - 5 ct.
Pandora 4.5" Round Deep Pan - 10 ct.
Pandora 1 lb. 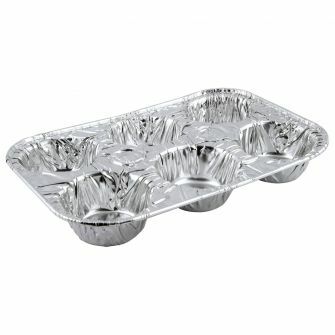 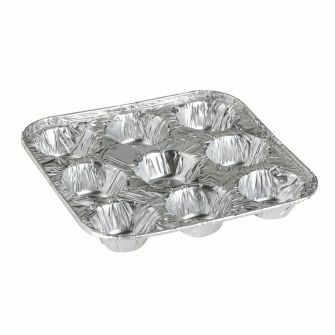 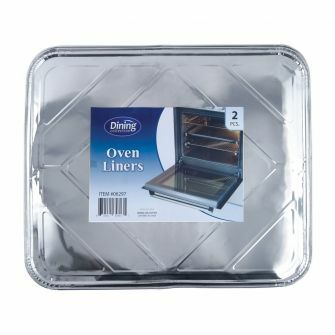 Mini Loaf Pan - 5 ct.
Pandora 8" Square Pan - 5 ct.
Pandora 4.25" Square Deep Pan - 6 ct.
Pandora 6 lb. 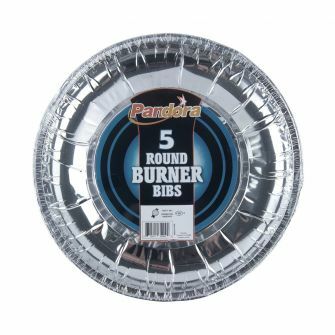 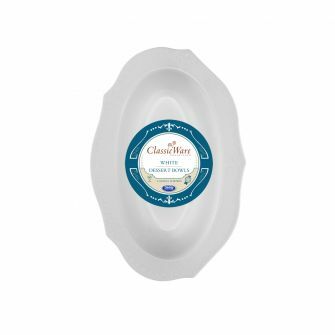 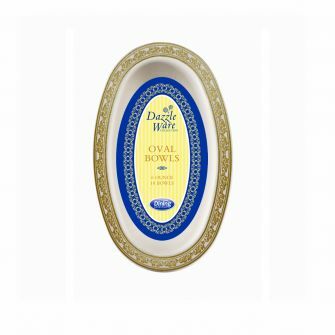 Extra Large Oval Pan - 5 ct.
Pandora 5 lb. 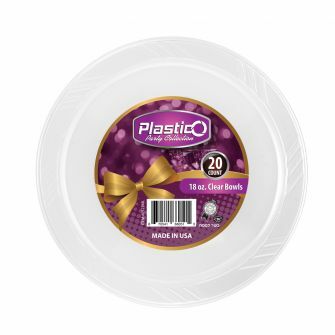 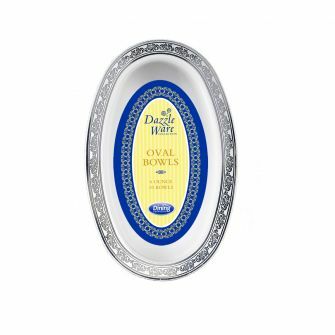 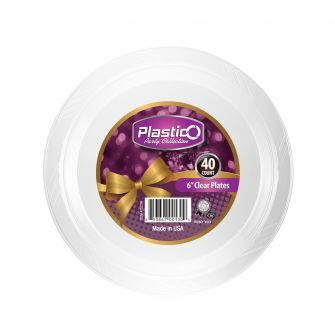 Large Oval Pan - 5 ct.
Pandora 3 lb. 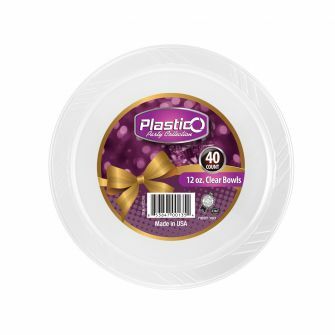 Medium Oval Pan - 5 ct.
Pandora 2 lb. 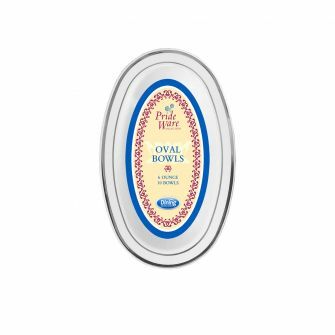 Small Oval Pan - 5 ct.
Pandora 1 lb. 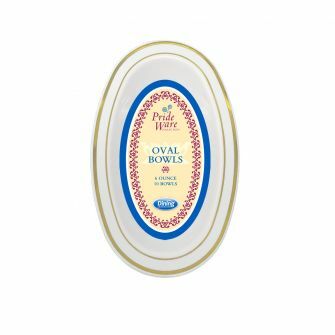 Mini Oval Pan - 5 ct.
Pandora 5 lb. 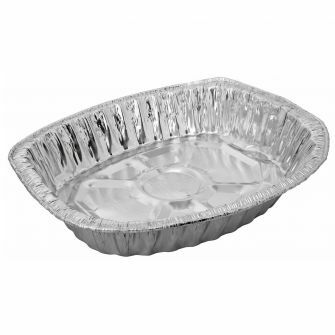 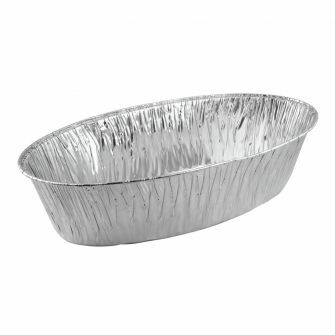 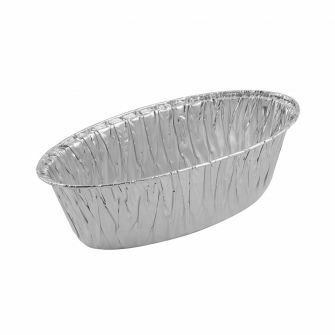 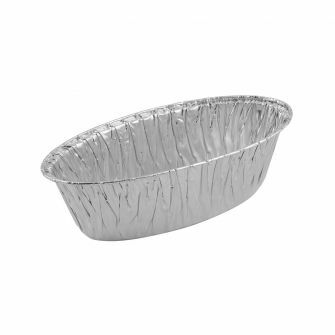 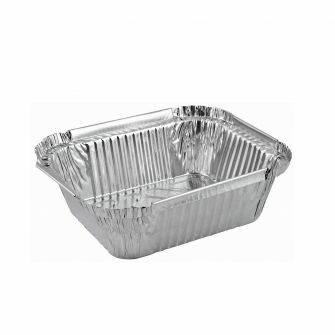 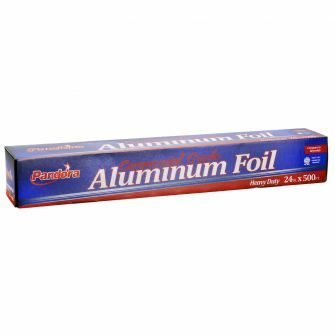 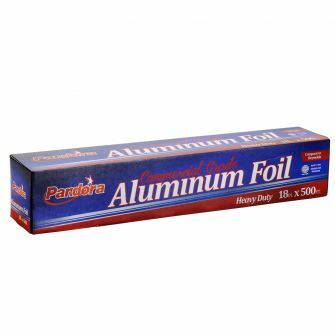 Foil Lid - 5 ct.
Pandora 5 lb. 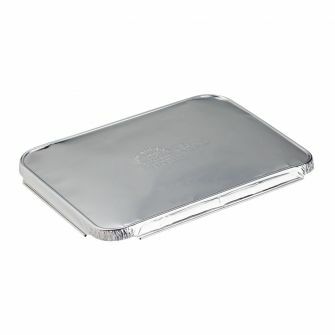 Oblong Pan w/ Lip - 5 ct.
Pandora 2 1/4 lb. 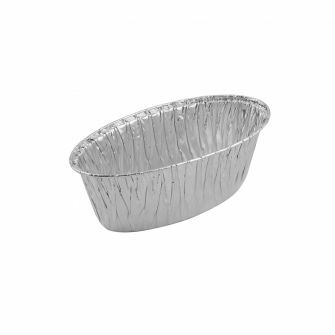 Foil Lid - 5 ct.
Pandora 2 1/4 lb. 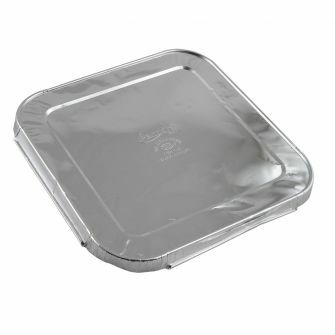 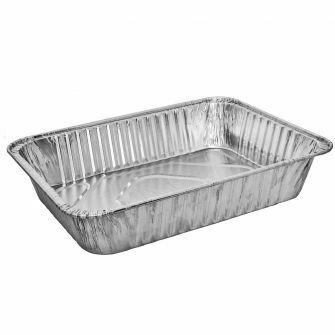 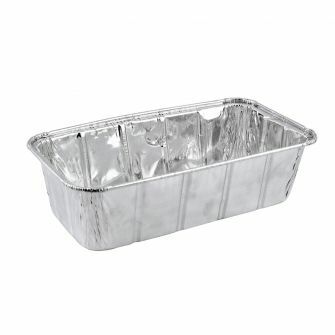 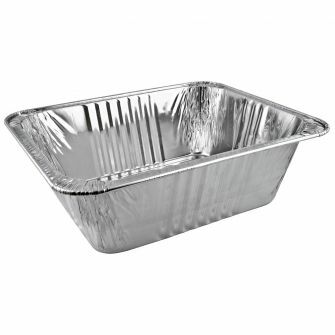 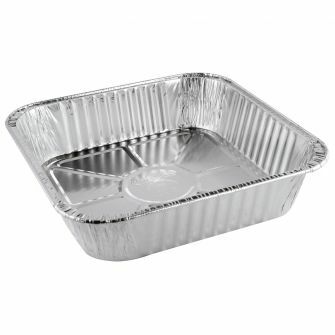 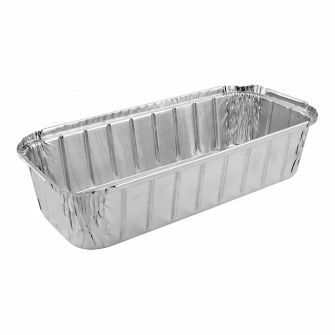 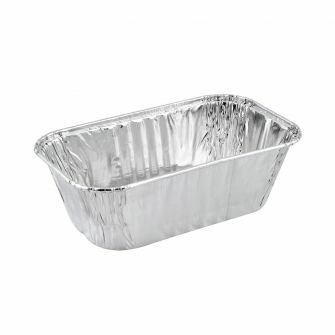 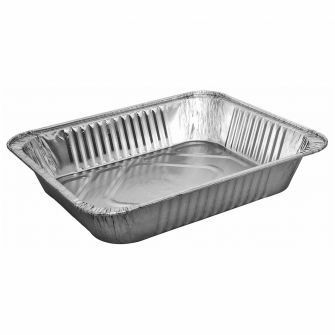 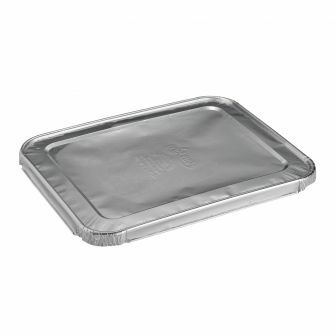 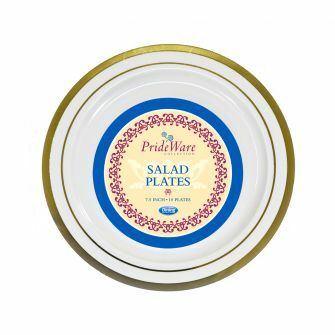 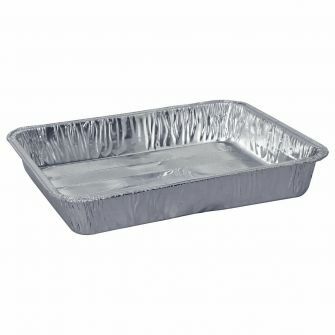 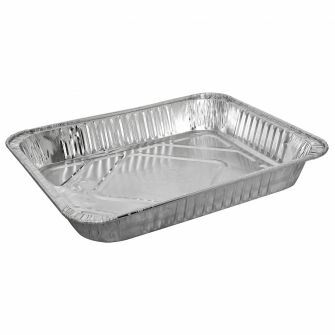 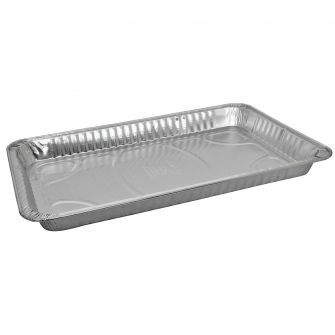 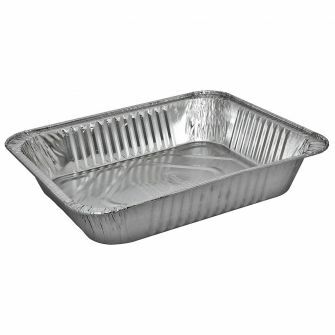 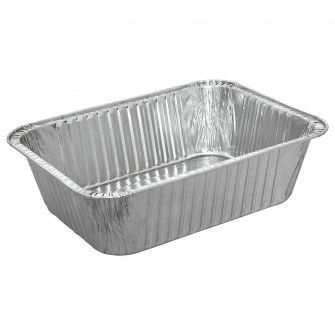 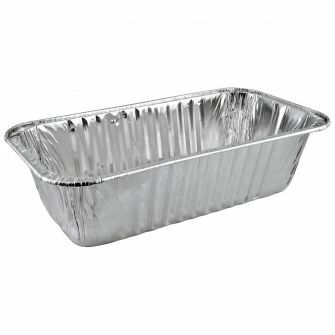 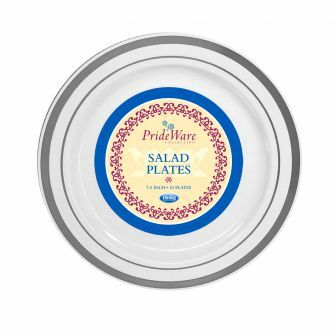 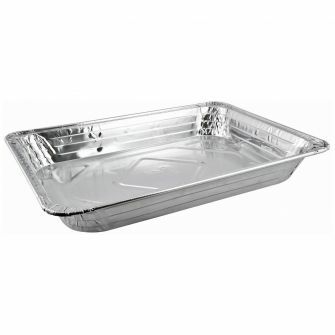 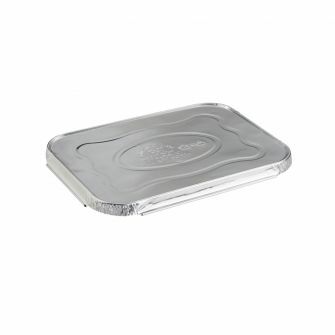 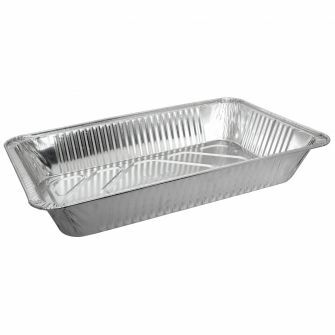 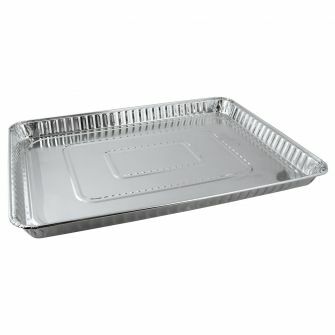 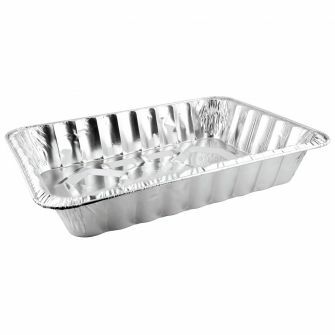 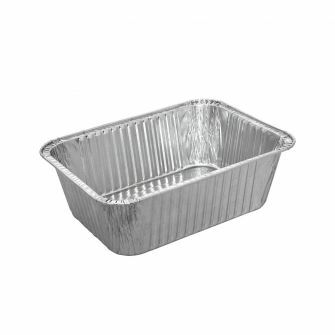 Oblong Pan w/ Lip - 5 ct.
Pandora X-Large Foil Pot & Lid (8 qt.) 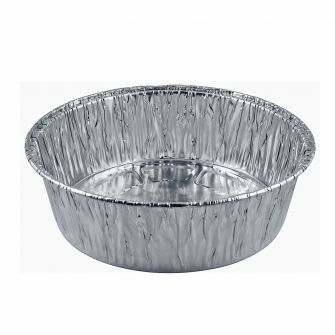 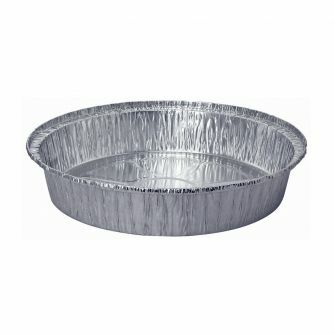 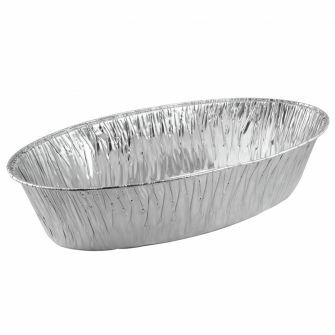 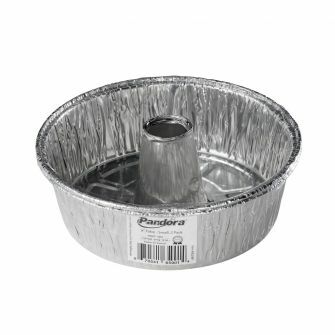 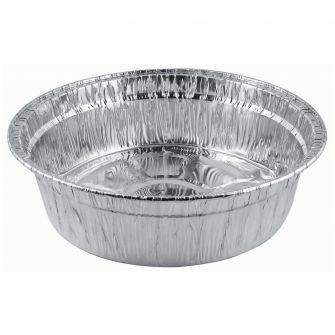 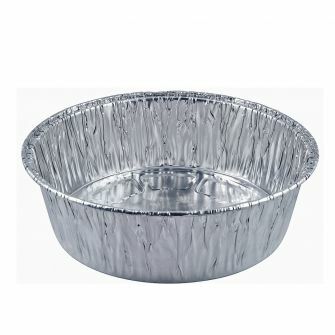 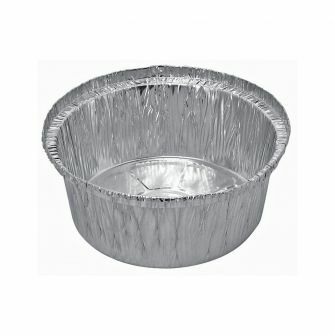 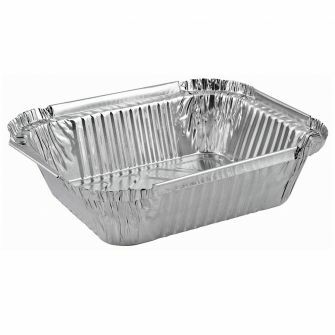 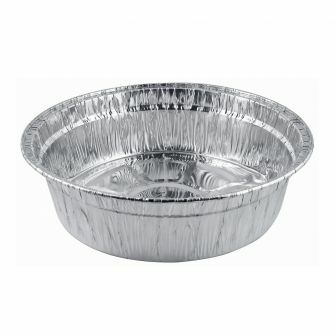 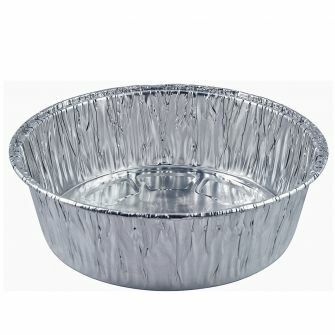 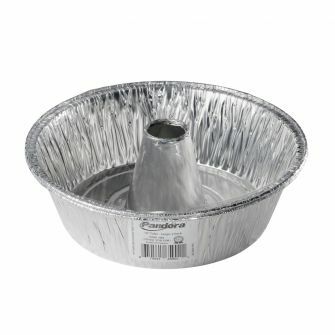 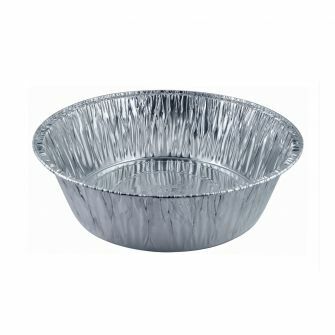 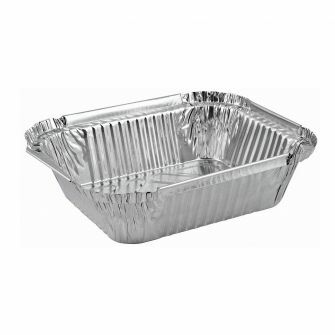 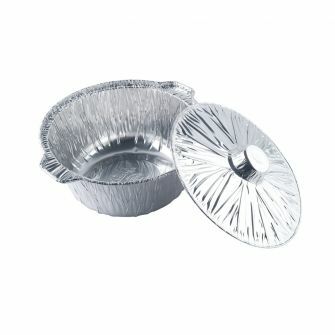 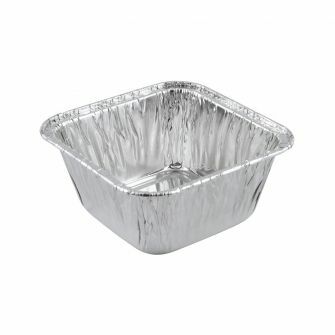 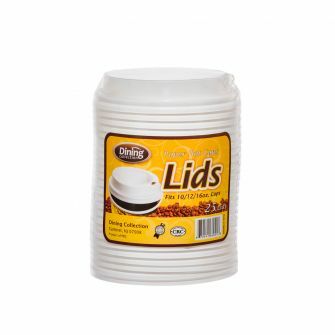 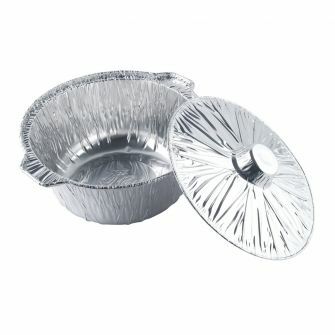 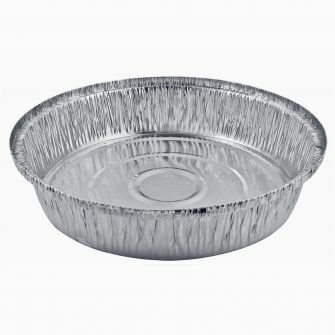 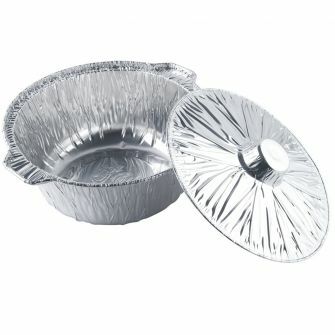 - 2 ct.
Pandora Large Foil Pot & Lid (5.5 qt.) 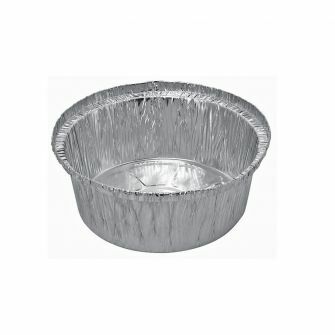 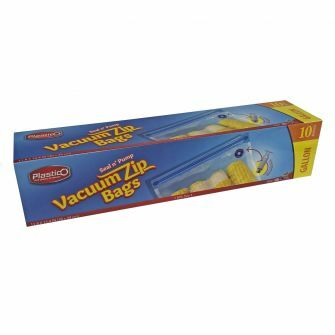 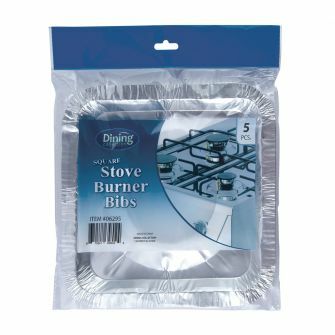 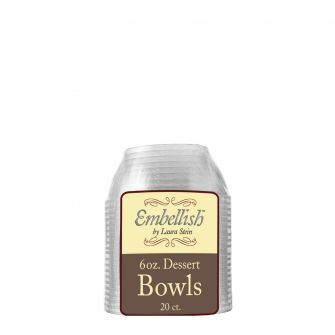 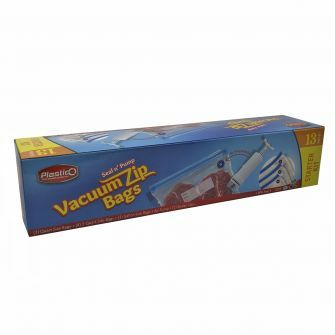 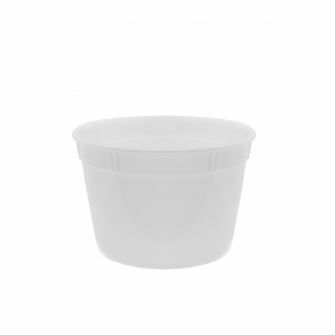 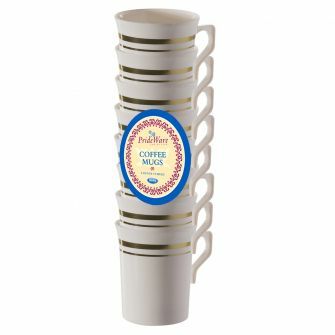 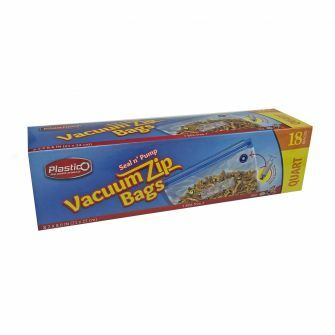 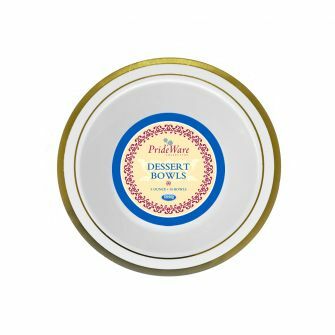 - 2 ct.
Pandora Medium Foil Pot & Lid (4 qt.) 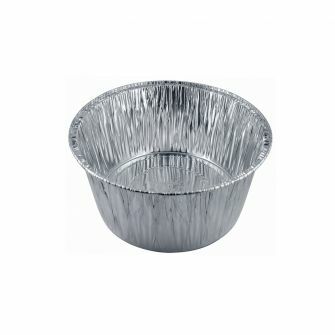 - 2 ct.
Pandora Small Foil Pot & Lid (3.5 qt.) 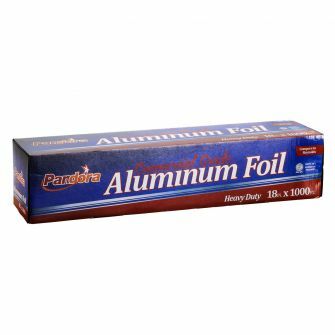 - 2 ct.
Pandora Commercial Roll Heavy Duty Foil 24" - 500 ft.
Pandora Commercial Roll Heavy Duty Foil 18" - 1000 ft.
Pandora Commercial Roll Heavy Duty Foil 18" - 500 ft.